It's honestly crazy to think that it was almost a month ago that I was taking these pictures in Palma with Marisa, with my grade A lobster skin. We ventured into town with my "trademark tropical vacation" look vacation (see: Greece outfit), and enjoyed one of our last days of break. As we walked around, I received quite a few looks, which were obviously in reaction to my rad outfit!!!! At least that's what I'm telling myself. But seriously, when I saw this dress at Mango in Ibiza, I just had to have it. 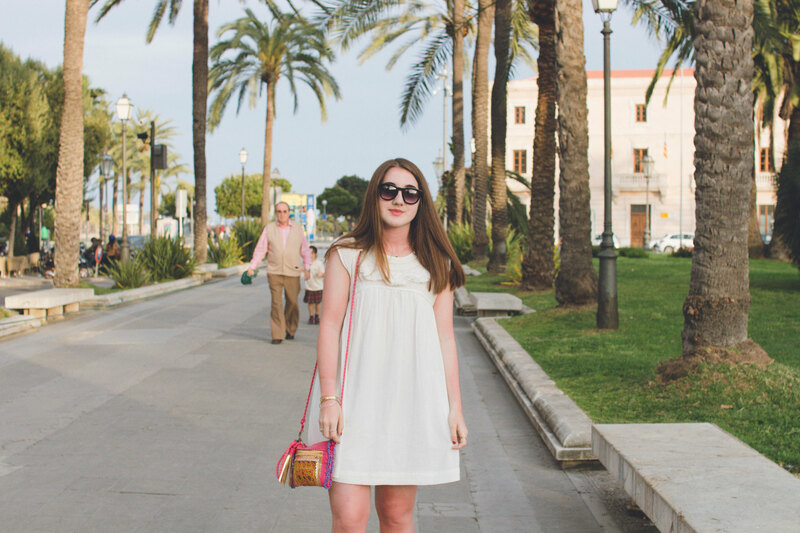 I'm a huge white dress fan, especially when it's as hot as yummy paella in the summertime. However, this one has beaded/woven detailing along the neckline, which just makes it even better. 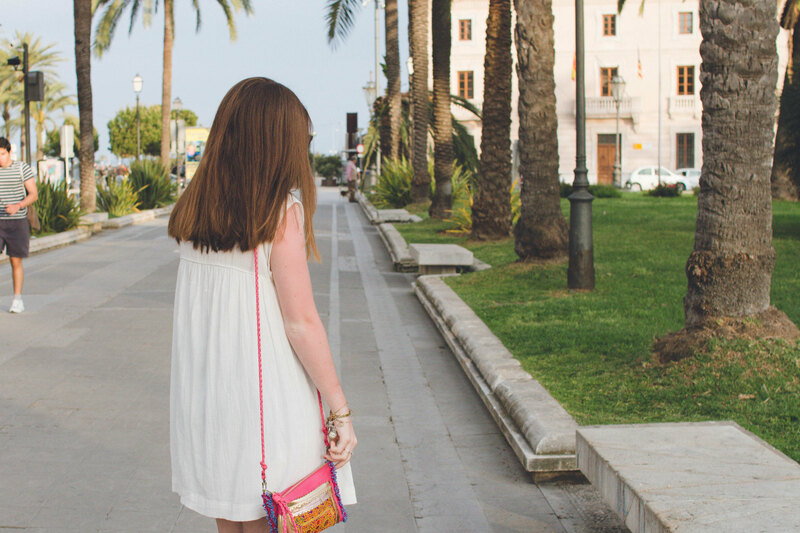 When we were in Barcelona a few days before, I had picked up these sassy strappy heels from Zara, which went perfectly with the overall simple yet detailed look. I love the metallics I have going on, especially in my very tribal looking clutch. 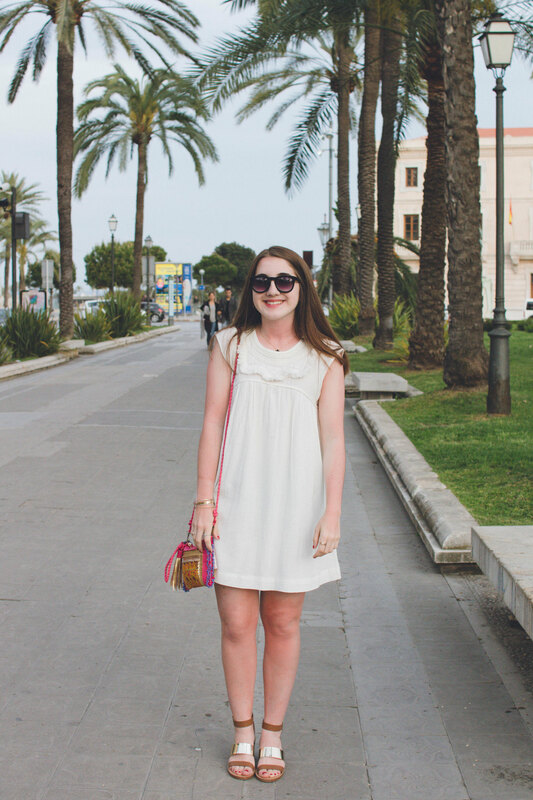 My summer uniform is lookin' like this: flowy dresses, sassy heels, rad sunnies, and unintentional sunburn. What's yours?